You’ve found the perfect home, gotten pre-approved on a mortgage and your closing is just around the corner. You may think it’s time to celebrate, but until every last piece of paperwork is signed, the deal isn’t done. That means you need to be careful, because your lender is keeping a watchful eye on your finances. Any change to your financial situation — whether good or bad — could mean delays to redo paperwork or being denied a loan at all. In either situation, that could mean no new home for you. Delays in closing could result in the seller moving on to another buyer or charging you more for the delay. And if your lender decides you’re no longer eligible for the mortgage, you’ll have to restart the mortgage process. If you want to walk away from your mortgage closing with the keys in your pocket, don’t make these mistakes. Any changes on your credit report can change your credit score and that can mean changes to your mortgage. Most of us will only touch our credit reports when we’ve spotted an error that needs to be fixed, which is usually a smart financial move that will increase your score. But before your mortgage closing, any change you make could negatively affect your credit. Ideally, you addressed any problems before getting pre-approved for your mortgage, but if you didn’t, fixing them will have to wait. This isn’t the time to get a new credit card, increase your credit limit, apply for a loan or co-sign for a loan. (This includes car loans and leases, too.) While none of these are necessarily bad financial decisions, they’ll all result in a credit check which provides a small hit to your credit score. Taking on more debt can also hurt your score, as well as increasing your debt-to-income ratio, which your lender is watching closely. If your debt-to-income ratio is too high, you may not qualify for the mortgage anymore. Don’t risk it: avoid getting into debt before you close. You’re about to have a new home, and you’re probably tempted to fill it with new furniture, update the appliances, and maybe start a few home improvement projects. But even if you have things you want for move-in day, it’s best to wait. If you use a credit card or buy on layaway, that’s more debt — and a higher debt-to-income ratio. Even bargains that let you grab what you need without payments or interest can hurt your credit, because they’ll immediately hit your credit report as additional debt. Remember that your lender is watching your finances, and that includes your spending. Don’t increase your spending before you close on a mortgage. Whether it’s your car loan or your utility bill, you don’t want to pay late — or, worse, miss a payment entirely. It could show up on your credit report and your lender certainly won’t be thrilled to see that you aren’t paying your bills. After all, if you aren’t meeting your financial obligations now, what will you do when burdened with a big mortgage? If due dates tend to slip your mind, mark your calendar, set a reminder on your phone, or just turn on auto-pay. Anything you can do to avoid a missed payment help ensure a smooth closing. Having stable income is crucial to being able to pay your bills, and your lender knows it. Even if you’re earning just as much (or more) money, making a change is a problem. 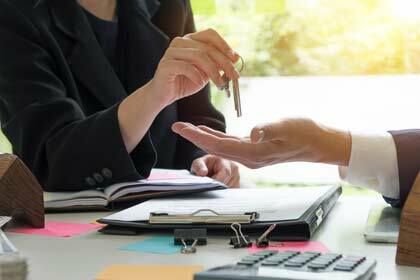 If your lender calls your former employer to verify your income only to be told you don’t work there anymore, it’s likely to hold up the closing process. If you get a new job while you’re in the middle of the process, your lender will have to verify your new employment and income — and there’s only so much time to get it done before closing. It can be hard to get pay stubs or other verification at the last minute, which could delay your closing. Even if you get a fantastic job offer, you should hold off until the papers are all signed. That new job isn’t worth sinking your home purchase for. YOU’LL BE IN YOUR NEW HOME IN NO TIME! Closing can be a stressful time for any future homeowner. But as long as you can dodge these potential dealbreakers, you’re well on your way to closing on a new home. If you find yourself in a situation where any of the afore mentioned scenarios are unavoidable you should contact your lender immediately to discuss. Every situation is unique and having an open dialogue with your lender will afford you with advance knowledge on how (or even if) any situation will affect your ability to qualify for a mortgage.